It is estimated that 0.2 to 4% of all pregnancies in industrialized countries are complicated by cardiovascular diseases (CVD) with increasing number of women who develop cardiac problems during pregnancy . Indeed, pregnancy challenges the cardiovascular system and may lead to disease states such as hypertensive complications with its severe forms preeclampsia and the HELLP syndrome (H: hemolysis, EL: elevated liver enzymes, LP: low platelets counts) . Especially the phase towards the end of pregnancy, during delivery and postpartum is a special challenge for the cardiovascular system since it has to cope with massive hormonal fluctuations, fluid changes and mechanical stress. Alterations in metabolism (subclinical insulin resistance in pregnancy) and immune response (repressed in pregnancy and activated after delivery) take place as well. Moreover, endothelial stress promotes hypertensive disorders and additional enhanced coagulation activity lead to higher risk for myocardial infarction and stroke and cardiomyopathies as outlined below. 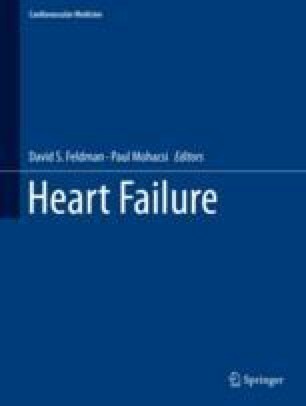 It is therefore not surprising that acceleration of heart failure towards the end of the second trimester, under delivery or in the early postpartum phase is frequently observed in women with pre-existing cardiomyopathies or pulmonary hypertension and is associated with adverse maternal and perinatal outcome . Moreover, the cardiac stress model “pregnancy” may even unmask unrecognized genetic and non-genetic heart diseases [2, 4, 5].